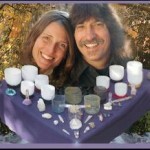 My mission is to transmit and increase peace, love, and high vibration energy by helping people shift to a higher consciousness during these transformative times leading to 2012 and beyond, through teaching meditation and selling crystals. Contact me for upcoming dates. Embark on Your Path to Inner Peace!